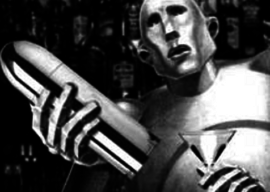 Robotic Bartenders, Cocktail Machines, Bionic Bars, whatever you want to call them, I am fascinated by Barbots. You know, completely automated machines that can mix cocktails for you. I’m interested for two reasons. First, I like to entertain, love gadgets, and I think a Barbot would be the hit of a party. Most folks have never seen one or even heard of one. 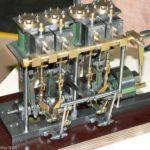 Second, they present many fascinating engineering problems should you wish to build one–a worthy challenge for the intrepid CNC’ers among us! In this article, I did deep research on Robotic Bartenders to bring you as many ideas as possible for building your own Bionic Cocktail Maker. There are a LOT of Barbots presented here. 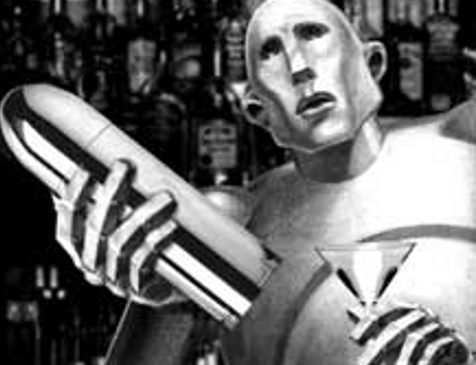 Let’s start by getting a look at some professional-grade Robotic Bartenders. CNC’ers will notice a pretty straightforward robotic arm seen at many CNC facilities. It’s got a drink mixing attachment, and the liquor bottles are suspended from the ceiling with push-to-pour spouts. The Makr Shakr robot bar system is pretty straightforward. Off-the-shelf robotic arms and the push-to-pour spouts are also off-the-shelf. There’s a lot to be said for the spouts in terms of simplifying the need for complex plumbing. Presumably the arms are programmed to a standard ceiling grid and other locations as subprograms. The subprograms can then be run by a user-friendly drink selection application. Makr Shakr has the capacity for custom drinks to be programmed and it can even be programmed to dance to the music playing in the club when it isn’t busy making drinks. Using the arms definitely gives a lot of visual pizzaz to the machine, which is important when selling to a commercial audience. The Monsieur looks to me like some sort of vending machine. 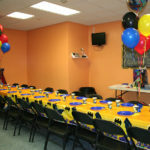 They see themselves at sports arenas, special events, hotels, movie theaters, and restaurants. I could definitely see them in those settings. The latest round of movie theater remodels in my hometown added alcohol to the mix (so to speak), but it’s just beer and wine. Having a Monsieur would let them kick it up a notch. The Monsieur has a touch screen interface and uses peristaltic pumps to dispense the various ingredients to a glass. Each machine can handle up to 8 ingredients, with 6 ingredients going to a cold compartment and 2 kept at room temperature. Another high-tech feature is the ability to trigger the machine via RFID bands. Say you have these installed in skyboxes at a stadium arena. The boxes are available for rent. Give the guests the RFID wrist bands when they show up and they can get drinks. No wrist band? Sorry, no drinks! This is a good video because it walks through the detail of setting up the machine, adding the alcohol, priming the pumps, and so on. By now you must have seen the Keurig automated coffee makers. They take individual serving cartridges and brew your coffee one cup at a time. Pretty cool! That’s what I was reminded of when I saw Somabar. It’s a lot more affordable than the Makr Shakr or Monsieur Barbots–$499. But you can’t buy one yet. Yup, it’s one of THOSE Kickstarter kind of things. In fact, there’s more than one of these things out with slick advertising and nothing available yet–Barbotics is the other one I found. Hey, I’m not interested in buying a robotic bartender. 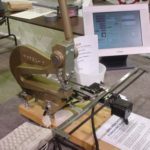 I’m a CNC’er, I want to build one! I just look over the commercial models to gain some design ideas. Now here are a collection of Barbots that individual DIY folks have created. 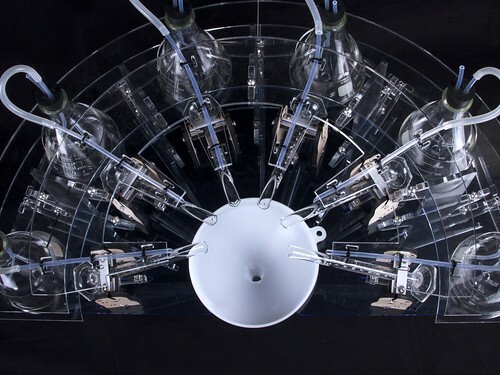 Linear Barbots use the same inverted bottle arrangement as the Makr Shakr. It’s easy to move a glass in XYZ with classic DIY CNC technology. The inverted pour spouts are readily available for purchase. Two kinds are available. The most common just pours as long as pressure is applied. They also make metered pour spouts that will force a measure to be poured. 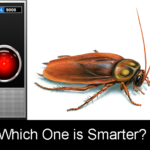 No real need for the latter if your programming skills are good enough to figure out the metering. OK, now here is some classic DIY CNC technology put to work making cocktails. It has a capacity for 18 bottles. Everything is controlled via Arduino. I think you could pretty easily modify a Shapeoko machine to make cocktails by doing something similar and mounting the Shapeoko upside down under the table. Hmmm, as long as the Shapeoko can be removed and put back into action as a CNC Router, a custom robotic bar in the corner might just be the ultimate wife-friendly accessory for a CNC’er! Yest another linear design, but it has both inverted and non-inverted ingredients. The non-inverted ingredients are poured by using a small air compressor to pressurize their containers. 4th Axis for Your Robotic Cocktail Machine? It certainly makes the unit a little more compact as well as allowing the capacity to make multiple drinks during a run. Rumbot is another linear model. Instead of moving the glass, it moves the nozzle though. Ingredients are feed via pump to a 6 port nozzle–so it can handle up to 6 ingredients. The niftiest feature of this design is the Barbot’s answer to Feedrate Override. You can twist a knob to set how strong it will make your drink! 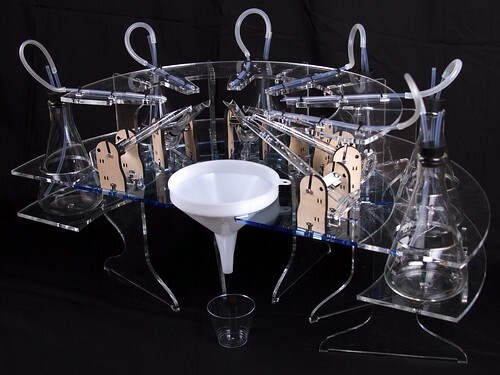 Behold BarMixvah, a 3D Printed Robotic Bartender! “BarMixvah” and was created by Apple Engineer Yu Jiang Tham. It uses an Arduino (a very popular inexpensive single board computer for projects like these) to control four peristaltic pumps. These little pumps are ideal for this application because they simply move rollers over plastic tubing. They’re easy to clean, easy to make food safe, and capable of metering ingredients precisely. Even better, they’re pretty cheap. 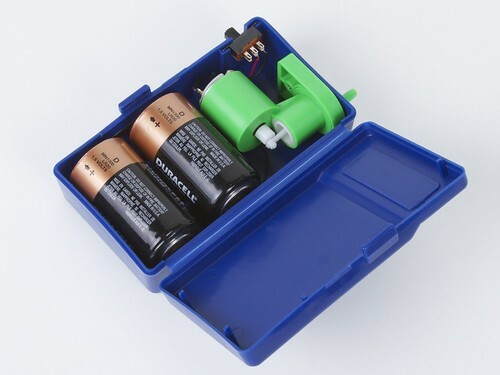 BarMixvah’s pumps run on 12V DC and cost just $14 apiece on Amazon. The project includes all the information needed to build your own BarMixvah including the stl files for 3D printing and the code for the software on github. Once complete, BarMixvah is run from a web server, which makes it easy to control from your iPad or other web browser. The concept is simple. There is a length of tubing around the circumference. Rotating the pump activates a cam action that pinches off part of the tubing. The distance between the cams causes a “slug” of liquid to move through the tubing twice per revolution. The volume of the “slug” is the unit of measure the pump is capable of dispensing. It’s ingeniously simple, and the tubing is easily cleaned by running a fluid through it or replaced periodically as well. It looks to me like it would be relatively easy to machine a little peristaltic pump. 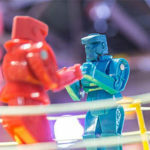 You’ll need a bank of them, as well as some way to control their motion, to complete a Barbot of your own. Or, you could sign up on Kickstarter for Bartendro–around $2000 for the 15 ingredient version. Drink Making Unit 2.0 is the product of the Evil Mad Scientist website. This interesting design is made largely of chemistry glassware. Ingredients are pumped using air pressure, with a separate tiny compressor for each ingredient. Another unique feature is the use a a tipping cylinder to ensure consistent measures. When the cylinder is full to a certain amount, it tips up and pours its contents into the funnel and from there it flows into the drink. What’s a Martini Luge? I thought you’d never ask! It’s a type of ice sculpture where you pour the martini at the top of the ice and it makes its way through the ice to your glass. By the time it gets there, it has been chilled very cold. Forgotten shaken or stirred, make mine a vodka martini, luged. Martini luges are fun for parties and special events. Think of them as being to Barbots as manual machine tools are to CNC. Or think of cooling the drink as a second op, machining style. If you’re designing a linear style machine, you’ll be challenged to figure out how to tip the glass into the top of your Martini Luge. 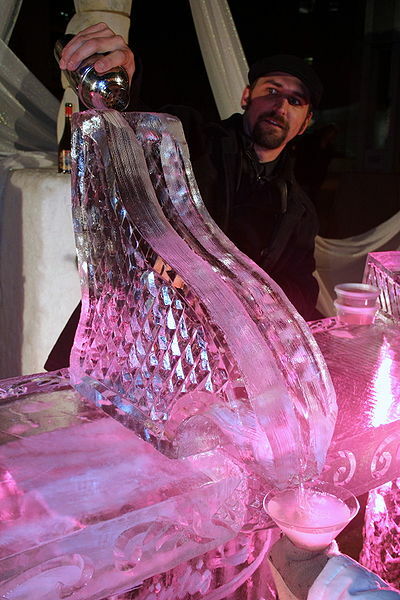 The need to carve an ice sculpture to make the Luge raises the issue of possible further CNC involvement. Don’t like cocktails? No worries. You could still use a Barbot and Ice Luge to mix different party drinks. Try Italian Sodas, for example. When the cube is ready, put it in your finest crystal tumbler and add a splash of Suntory whiskey. Relax in your favorite chair and enjoy. 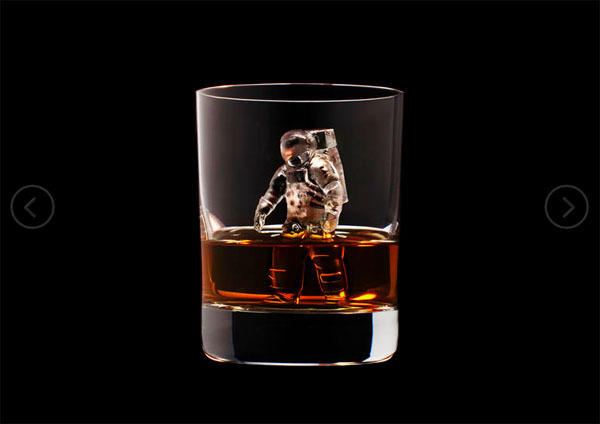 They may not make the whiskey taste better, but they sure do look cool. 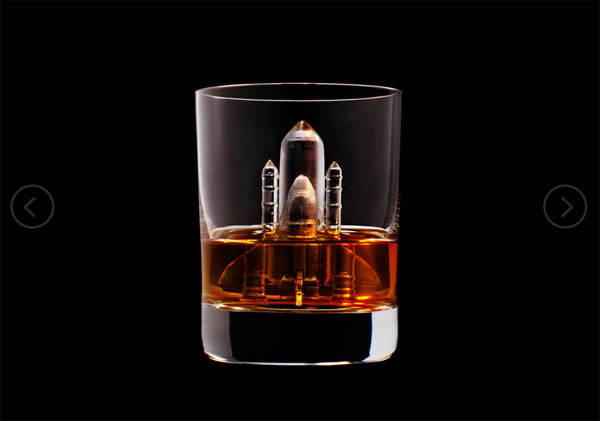 Maybe this is how the very wealthy enjoy their whiskey. It makes me think I’m going to need to add a special “Ice Cube Art” module to the Barbot when I finally get around to building it. Use a gravity feed pour spout. This seems really simple, so I like it a lot! OTOH, it requires a CNC positioning system which brings its own complexity. Use a peristaltic pump. 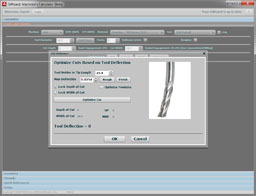 Advantage–precise metering. Probably the most precise. But, they require periodic cleaning and must be purged of air. Use compressed air to displace the liquid. Simpler than the pumps but might be the most imprecise metering method. 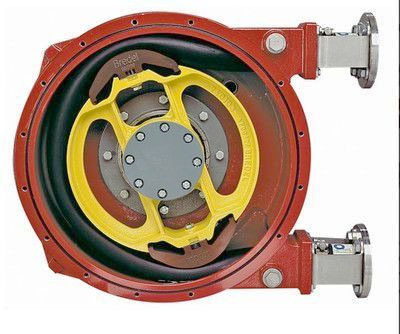 As the rotor spins, it pinches a section of flexible tubing that pumps that amount of fluid into the outlet. Pretty foolproof, and if you use food safe tubing, you’re good to go. All in all, it looks fairly straightforward to create a Barbot. I’m just wondering whether any CNCCookbook readers have ever tried it. Tell us in the comments below! Before we leave the subject of Barbots, I want to talk about ice. 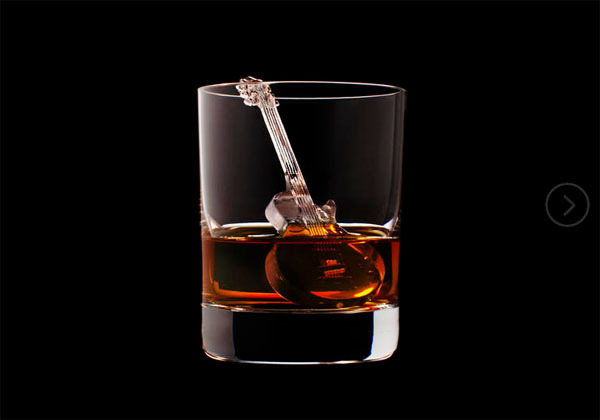 Of course there are many in the whiskey-drinking world who believe spherical ice cubes are the best. They fit the maximum volume (i.e. largest reservoir of cold) into the minimum surface area. Therefore, they don’t water down the drink. Sounds like a good thing, but the most I can see doing that’s CNC-related is to provide a dispenser for the ice on your Barbot and to use your CNC to create a mold for making spherical ice cubes. 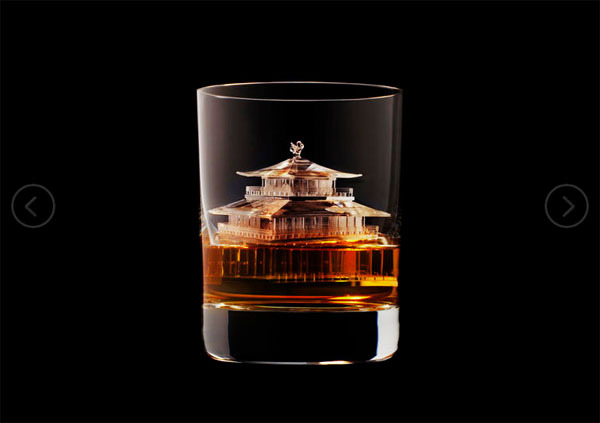 But then I found the next step up–CNC carved ice sculptures for your cocktail glass! 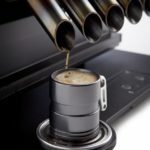 V12 Espresso Machine: La Dolce Vita!